Ages ago I volunteered to do NEWS - or the BTO's Non Estuarine Waterbird Survey and my section is the Hemscotthill Burn to Chibburn Mouth - 90 % inside my patch. I did my survey on Friday lunchtime (it has to be done three hours either side of low tide), it was bright and clear but cold. The first birds I saw were two mistle thrush, a welcome year tick. 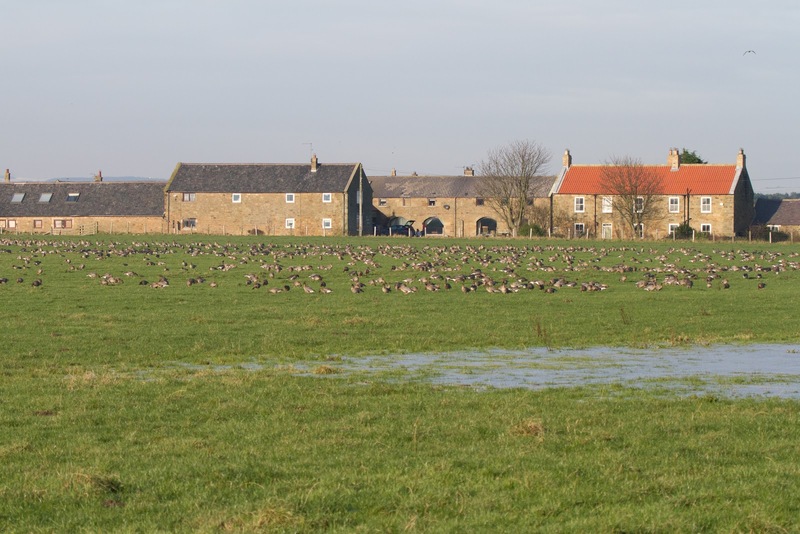 whilst I was looking at some twite and surveying the sea for waterbirds, the pink-footed goose flock that had been in the filed in front of the cottages, had been disturbed and flew overhead and out to sea before coming back over to return to the same field. I was a bit slow in getting me phone out to video them going overhead. There was a single barnacle goose amongst them. Just beyond the big dune, I stopped to count some gulls and check the sea for birds. As I was scanning a diver flew through my scope - I immediately ruled out red-throated diver (it was close in and looked black and white and it's head was fled straight out and wasn't going 'up and down' as it flew) but it wasn't heavy enough for great-northern - it was a black-throated diver. A rare visitor to the patch and my first since 2014. Two sanderlings were the only waders I recorded. 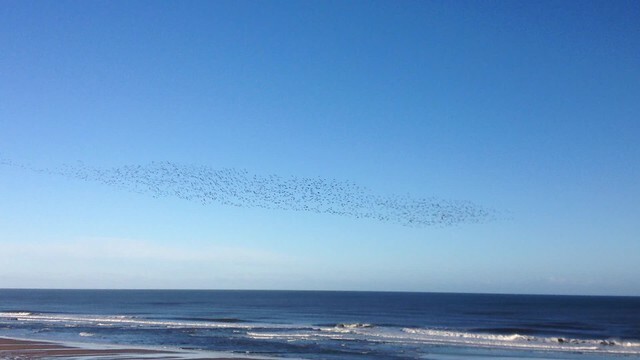 This is telling of the numbers of dogs now using Druridge Bay I reckon - disturbance is one of things BTO ask us to record. 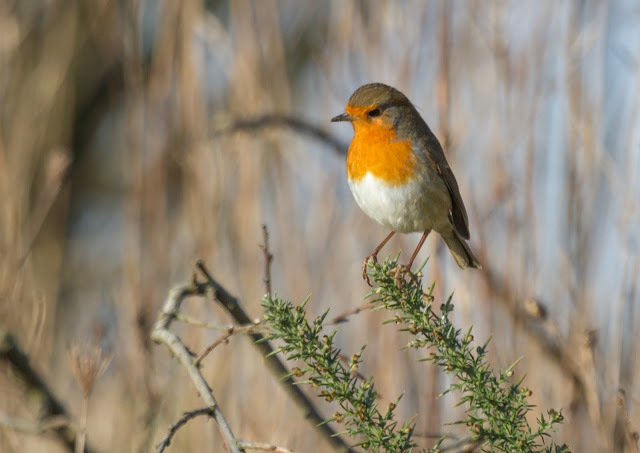 Today I was back on the patch to do my usual WeBS count for BTO. I stopped first at the edge of the patch to have scan through pink-footed geese flock that were still in the field. As I scanned, a big female sparrowhawk came through and perched on the fence. Tin Tin and Sacha joined me for a bit and we picked out barnacle and some white-fronted geese, there were at least six and all were Eurasian white-fronts. We had a water pipit over, calling. Some visiting birders from Teesside got onto a peregrine and there was at least three buzzards about. ADMc joined me for a bit, just as he was leaving I got onto a goose with thick, stocky, orange legs. It wasn't one of the WFGs and the bill looked for bean - but the flock was disturbed and moved together into a huddle and I lost 'my bird'. I'll go back tomorrow when I have more time. Onto my WeBS. The Budge fields were completely frozen so only six black-headed gulls to record. A water pipit was showing well in front of the screen. Onto the Big pool, the canada/greylag flock had moved from the fields onto the pool and the four barnacle geese were still amongst them but no Greenland white-fronts. 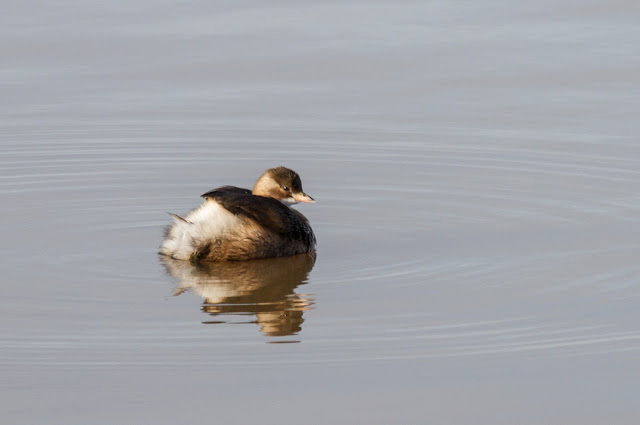 The drake scaup was still present, but no sign of the hybrid Aythya and ten pochards are still there. My year list stands at 76 species and my PWC score is 88 with the addition of a few 'two-pointers' in the last couple of days.